I'm honoured to receive an honorary award at the Tallinn Illustrations Triennial. Thank you! I'm honoured that my illustrations have been chosen to represent Finland at the Tallinn Illustrations Triennial that opens tomorrow in Tallinn, Estonia. The Finnish Illustration Annual was published at the Helsinki book fair yesterday. You will find my illustrations in this great book showcasing contemporary Finnish illustration. My Thousand and One Creatures book is a White Raven 2017! "Thousand and One Creatures" (orig.title: Tuhat ja yksi otusta) book by Laura Merz and Aino Järvinen has been listed on the White Ravens 2017! The "White Ravens" label is given to books that deserve worldwide attention because of their universal themes and/or their exceptional and often innovative artistic and literary style and design. “Tuhat ja yksi otusta – the book title says it all: This large-format picture book celebrates wildlife. However, it does not simply introduce whales, polar bears, or camels via ordinary factual texts. The authors rather employ poems, the contents of which form a felicitous and suspenseful symbiosis with the full-page watercolour illustrations. The texts frequently point out the humorous aspects of the animals’ cohabitation, such as the poem about crocodiles and Egyptian Plovers (aka as crocodile birds), the feathered “dental helpers” who clean the reptiles’ teeth. The minimalist images, accentuated with just a few boldly coloured highlights, are impressive: spontaneously brushed onto the page, of sketch-like quality, they result in truly expressive, large animal drawings. The creator of these pictures, Laura Merz, was born in Finland and now lives in Berlin, where she creates works of fine art in addition to illustrating books." I spent two months at the Finnish-African cultural centre Villa Karo in Benin on an artist in residence programme earlier this year in search of inspiration for my next children's book. Here are a couple of pictures and some of my thoughts in writing about the experience, about the stories I heard and how they have influenced my book project. Unfortunately the blog text is only in Finnish. Google translate will surely add another layer of absurdity to the crazy West African tales I came across. I am honoured to receive the third prize in Mikkeli illustration triennial for my book Tuhat ja yksi otusta. Congratulations to the 1st prize winner Eero Lampinen and 2nd prize winner Daniel Stolle and everyone who got an honorary award! My illustrations will be on show amongst a great selection of best Finnish illustration at Mikkeli Art Museum until the 10th of September. Photo © Sevin Ozdemir and Pass the Crayon. Two weeks left of my show Tuhat ja yksi otusta. You can also spot this great zebra piece created at my workshop by class 5A from Töölö Primary School at the lobby of the museum. My book has received a brilliant review in the Finnish newspaper Helsingin sanomat. Anyone in Helsinki should go and check out my show at the wonderful place that everyone in Helsinki calls 'The Animal Museum'. The show is on until the 16th of October. 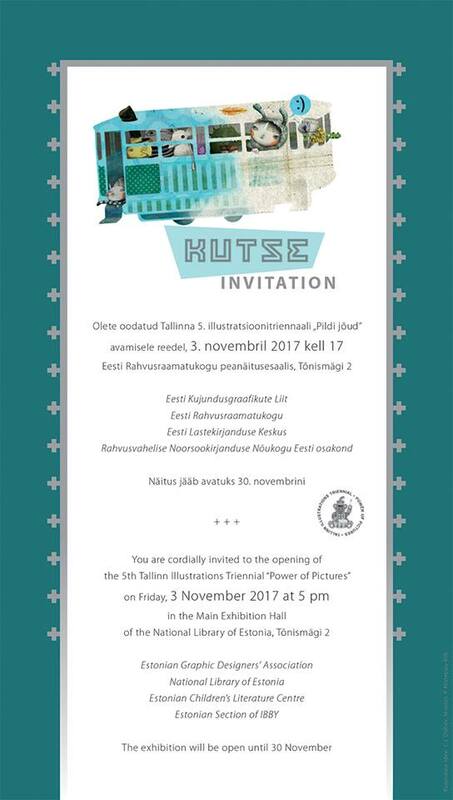 I am delighted about the opportunity to exhibit there, it is a place that I used to love when I was a child and where I used to come and draw whilst studying art in Helsinki. The exhibition is curated and funded by The Finnish Association of Illustrators. My drawing project has also been funded by the Alfred Kordelin Foundation and the Arts Promotion Centre Finland.